Manage NDA's or contracts from start to finish. 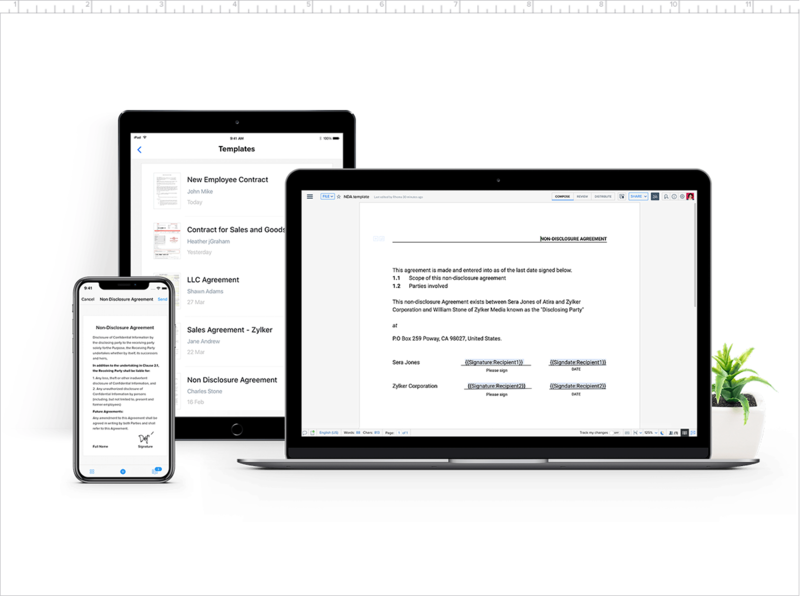 With built-in e-signing options, Writer handles everything from document creation to automated signature collection—letting you go the paperless way of work. 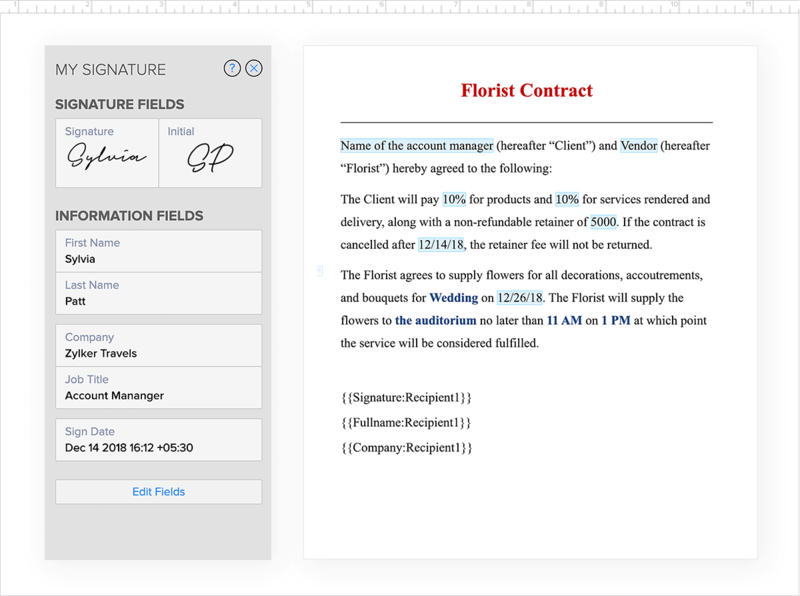 Create and format documents or contracts, insert signature fields, and save them as templates your team can reuse for signature collection processes. 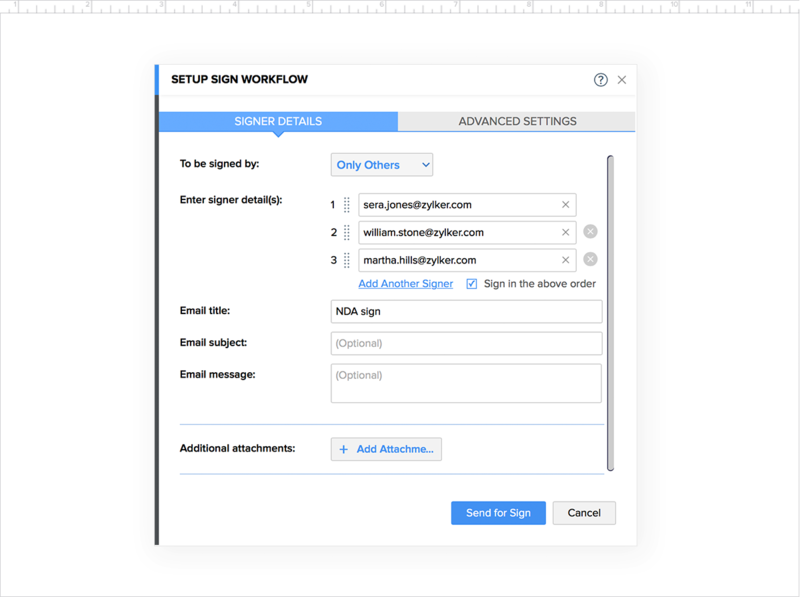 From signing documents yourself to bulk sending sales contracts to be signed by clients around the world, Writer provides the tools to facilitate all your signing processes. Work less on mundane tasks. 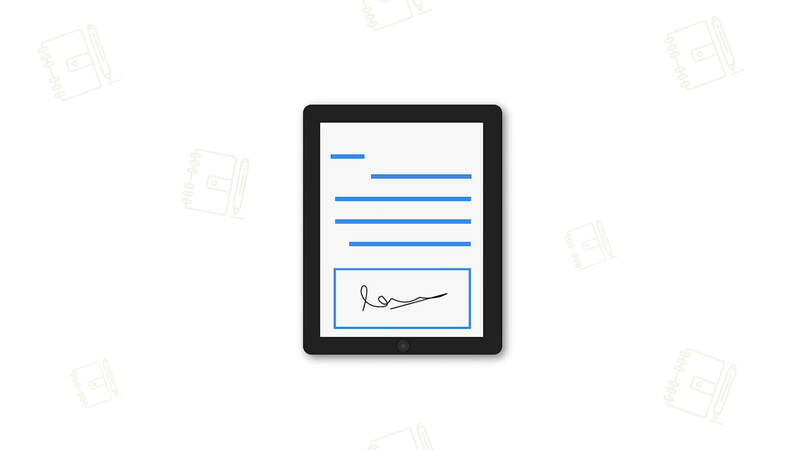 Scan, store and generate copies of your physical signature and add them to documents whenever you want. 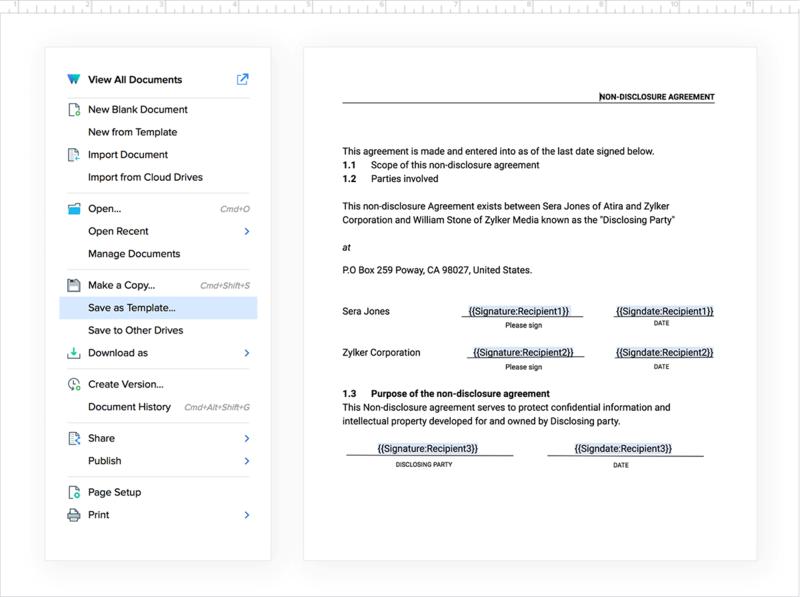 Get documents signed by multiple recipients—in a specific order or all at once. 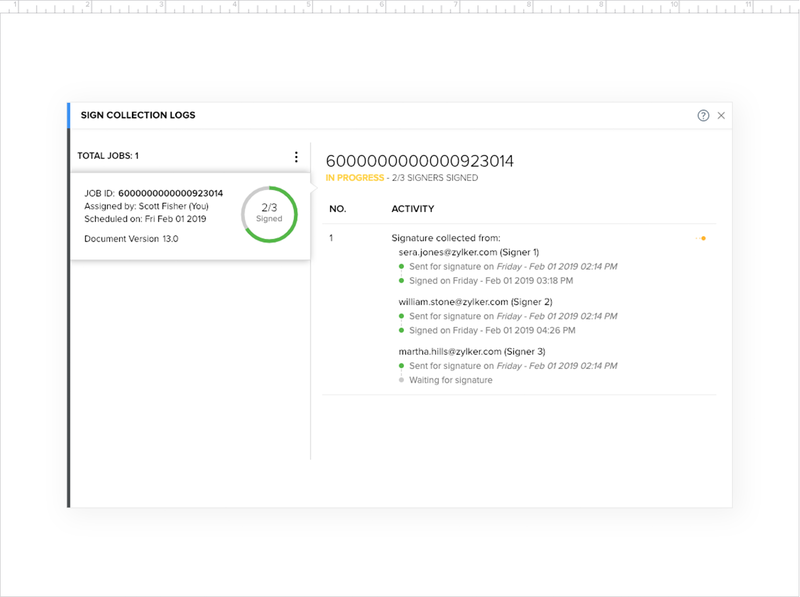 Constantly view the progress of documents you sent for signature collection—who has signed and who is yet to sign. Inform recipients of the last-date to sign the document and send them occasional reminders to avoid delays. Once signed, choose what to do with the document from choices including bulk-send, mail, store and download options. Writer keeps your CC'ed reviewers in the loop by giving you the option to automatically email them copies of the fully signed documents. The frictionless global solution, Zoho Sign can be accessed anywhere. Use your mobile, tablet, or computer to send and receive signatures securely from wherever you are! 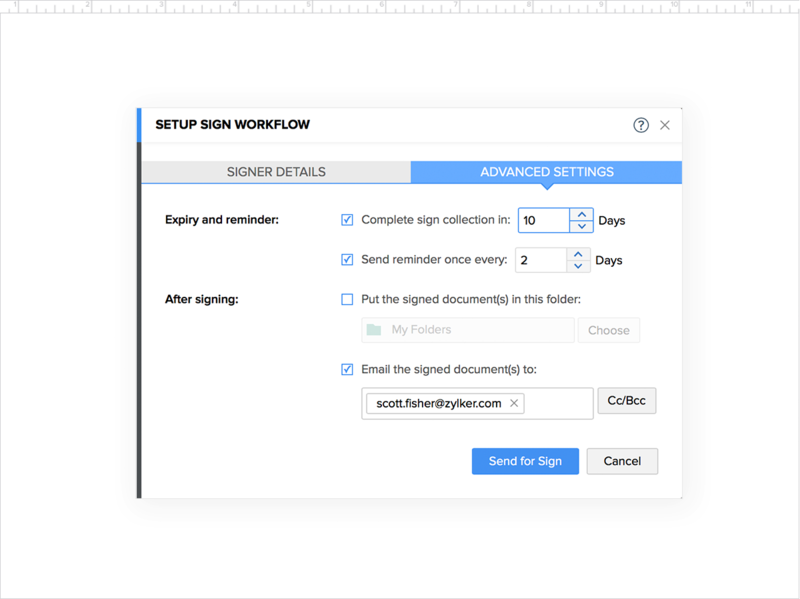 Writer lets you upload documents to your sign accounts as well, so you have the option to use different sign services or continue the process later.